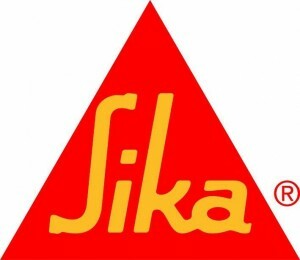 Sika Silicones Alpha Industries Ltd.Alpha Industries Ltd.
Sikasil-GP is a general purpose, one-component, non-sag, elastomeric, acetoxy and anti-microbial (mildew resistant) silicone sealant/adhesive suitable for interior and exterior applications. Sikasil®-GP is also available in a high temperature (HT) grade. Click here for the Sikasil GP and HT Technical Data Sheets. Sikasil N-Plus is a general-purpose, one-component, non-sag, elastomeric, 100% RTV neutral-cure silicone sealant. Click here for the Sikasil N-Plus Technical Data Sheet. Sikasil SG-10 is a fast curing, one component, non sag, elastomeric, neutral-cure, silicone sealant specially suited for window fabrication with its excellemnt flexibility for dynamic joint movements, superior adhesion to PVC/vinyl, glass, aluminum, metals, powdercoated surfaces, tiles, fiberglass, plastic, ceramic and wood. Click here for the Sikasil SG-10 Technical Data Sheet. Professional Grade, Neutral Cure, Medium Modulus Silicone Sealant for Weathersealing and Curtain Walling. Versatile, one-component, non-sag, elastomeric, neutralcure silicone sealant with high movement capability. It has primerless adhesion to most nonporous surfaces and guns easily in all weather conditions. Click here for the Sikasil WS-305 CNus Technical Data Sheet. Structural Glazing/Weather Sealing Grade, Neutral-Cure and No-Bleed Silicone Sealant. It possesses a no-bleed formulation and is suitable for above grade, horizontal and vertical, interior or exterior applications, including structural glazing and weather sealing. Click here for the Sikasil WS-295 Technical Data Sheet. Sikaflex-296 is a high-performance, elastic, gap-filling, 1-component polyurethane direct glazing adhesive that cures on exposure to atmospheric moisture and forms a durable elastomer. Sikaflex-296 meets the regulations set out by the International Maritime Organisation (IMO). Click here for the Sikaflex 296 Technical Data Sheet.